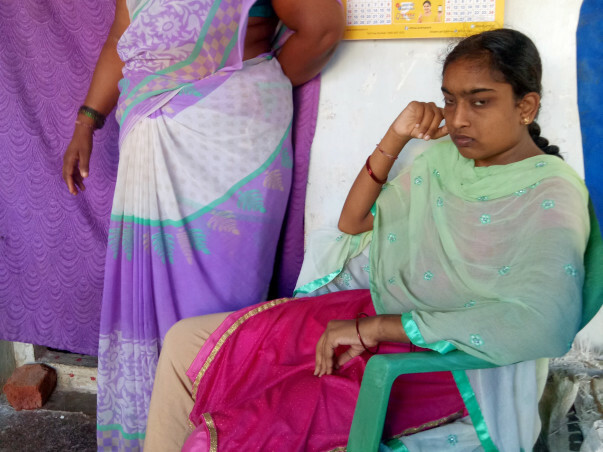 19 year old K.Gayatri of singarayakonda , prakasam district, AP suffered from fever in January and consulted local physician.. then the doctor diagnosed it as renal problem and referred her to higher centre. Ultrasound scan found that she has only one kidney .Right kidney is absent and left kidney is also not working.then her serum creatinine is around 8 mg/ dl and specialist doctors suggested immediate dialysis. Dialysis started on 11th of January and she needs dialysis twice a week.. Her family is very poor and cannot afford the the expenses and looking forward for kindhearts. She has to register for kidney transplantation . Registration may cost 20000 rupees and her family is not in a position to spend 20000 rupees also..Her treatment cost estimation is 10 lakhs. Please respond and contribute some amount for Gayatri. Gayatri still needs dialysis twice in a week. She is on anti hypertensives . 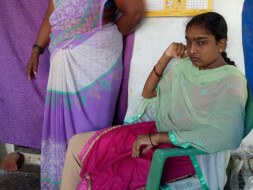 As her registration for Jeevandan is completed, she will undergo renal transplantation at Narayana hospital, Nellore. Gayatri was on dialysis twice in a week and happy to say that the registration process for jeevandan was completed . She was successfully registered in narayana medical college hospital, nellore for jeevandan and eagerly waiting for kidney donor. Now her blood pressure was under control and she is on anti hypertensives. Thank you all for your valuable contributions. 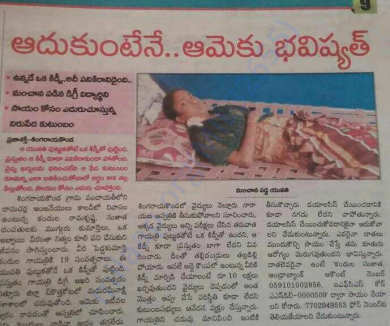 Gayatri was admitted in Narayana Hospital, Nellore, 3 days ago for registration to Avayavadan. The doctors finished doing all the tests on her yesterday and we're yet to hear from them. She will be tested tomorrow by a team of doctors for kidney transplantation. We are still waiting for a kidney donor. Until then, she will be under dialysis. Her haemoglobin is within the normal range now and her BP is also under control. She is currently on antihypertensive medication to help her better. Please keep supporting her so she can soon lead a normal life. may god bless you don't worry about it.you will recover quickly and live normal life like us.